As opening statement, I feel the need to say, I was not excited about the Switch. I know, weird, but my initial impressions didn't leave me with a lot of hope. The internal hardware is mediocre, the casing and screen are made out of styrofoam (not really, but it is super fragile), and there were less than a handful of games at launch, only one of which was a fully developed modern game and another of which was a gimmicky advertisement platform that should have been sold with the unit, not separately for $50. 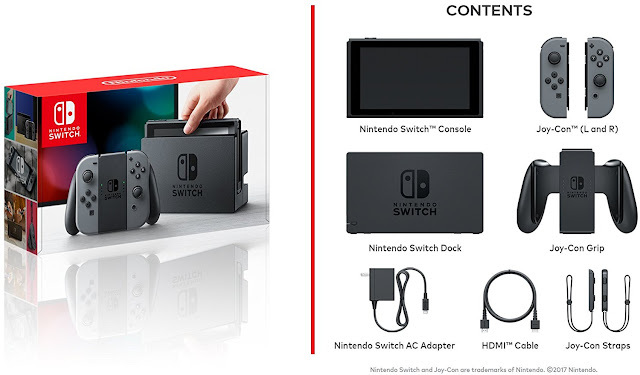 I actually kind of dig the Switch. comes with a surprising number of accessories and the sheer mystery involved in unraveling their arcane purpose quickly turned to delight as I realized just how flexible the physical hardware of this device actually was. The joycon controllers it came with could either be attached to the device itself as a handheld, slotted into a controller frame that transformed them into a more traditional controller, or outfitted with a pair of two-button wrist attachments that transformed them into a pair of Wii-style remotes. Having that natural integration allowing for multiple players right out of the box was cool, as was discovering that the device was just as flexible and portable as advertised. Those commercials where the guy is playing on his TV and then goes over and slides the chucks in before walking out the door while continuing to play? I did that, and it worked just as smoothly as in the commercial. While I still have some questions/concerns about the internal hardware (nothing I've played on the Switch yet would be overly impressive on a handheld like the Vita or even the new 3DS), the smooth integration of the various external hardware components is definitely very cool. The software on the Switch left a little more to be desired. While the Switch has a large, clear screen and Wi-Fi access, there are currently no apps to speak of. The subscription service that was the very first thing the console wanted me to see after booting up is still unavailable, there's no Hulu, no Netflix, no streaming services at all, so the Switch is very much a gaming platform only at this point in time, with a library of largely recycled titles. Some of these titles are still fun; being able to pick up and go with I Am Setsuna or play it on the big screen is an excellent way to experience a game created as an homage to old school RPGs like Chrono Trigger, and being able to have my friends over and let their kids play Mario Kart without taking up a TV is really cool. Where does that leave me with the Switch...? I'm glad I have one. It's already gotten a good bit of use and it will probably get more. The line-up of titles coming out, especially releases like Mario Odyssey and Xenoblade Chronicles 2, have me really excited. Being able to play Skyrim on a handheld is also pretty appealing, though I'm not sure yet if I'll be able to get back into the game after all this time, particularly on a proprietary system where the potential for mods is looking pretty low. 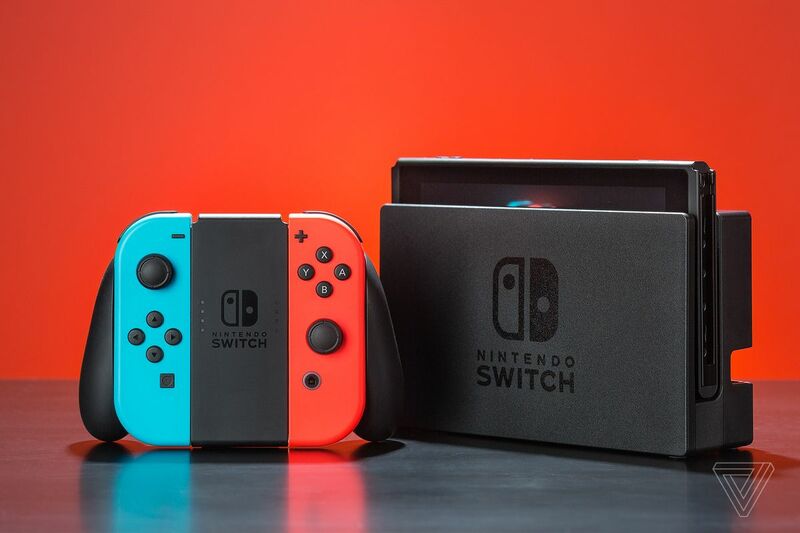 The Switch is simultaneously the best and worst of Nintendo; amazing IP titles, fun and gimmicky hardware, but also tepid release schedules, dated internal hardware, and limited options and functionality, particularly for a "next gen" console. I want to hate it. I have every logical reason to hate it. But I don't. I love it. I'm going to be playing the damn thing every day for months to come. Odds are really good that if you're at PAX West this year, you're going to see me sitting in line for a panel while playing Mario Kart on the Switch with my friends. Should you buy one? I did, and I've barely put it down since.